A body building workout should be a well-rounded program that provides an adequate amount of resistance to all areas of the body and all muscle groups. It should contain a variety of exercises including weight training and a cardiovascular rotation as well. If you are wondering about different types of body building workouts, there is no one magic formula for everyone. 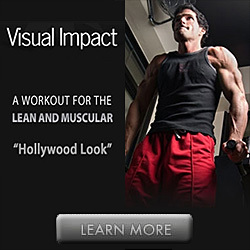 When you are trying to devise a good body building workout, you need to consider the current state of your health. Your health can factor in your recoverability, susceptibility to injury, and your physical limitations. If you are beginning a body building workout to get fit, you will probably have to start slow and work your way up. Another factor in a body building workout is to consider what your personal goals are in this endeavor. 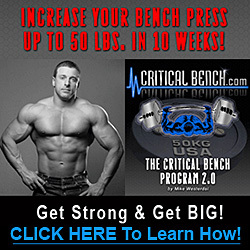 Do you want to increase body mass, lose weight, or just become stronger? Whatever goal you have will dictate what type of workout will work best to succeed. You must have a basic knowledge of human anatomy and what muscles are located where on your body. When you know where your muscles are, you'll be better equipped to work them to their maximum capacity. You can concentrate on the specific muscle groups and use the weights to tone and sculpt those muscles. Working out in this way will work each body group on one day only which will allow for maximum recovery time as well as maximum growth potential. You need recovery time due to the intensity of a strong body building workout to allow your muscles to heal in between workout sessions. This is very important in any body building program. Keep a log of the exercises you are performing and note your progress regularly. By doing this, you'll know where you stand as far as your strength potential, and you can make changes as needed to realize your personal goal. Body building workouts vary from person to person, but they all contain basic components that can help all body builders grow their muscles and tone their bodies. When putting together your body building workout, keep your personal goals in mind and then go for it.